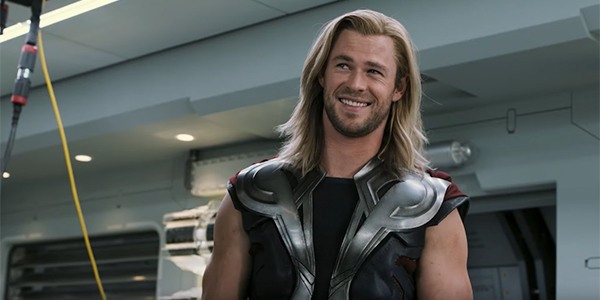 Chris Hemsworth has been a part of the MCU as Thor since 2011, and while he’s surely had a lot of fun in his solo romps, the actor claimed his favorite on-set moment happened with the rest of his friends in The Avengers original six. Hemsworth recalled a time he was attempting to film a scene with the rest of his co-stars, but all they were succeeding in was awakening director Joss Whedon’s fury. Chris Hemsworth couldn’t remember the exact movie or scene — whether from The Avengers or Avengers: Age of Ultron — but apparently Joss Whedon’s anger and the humor from it has stuck with him for quite a long time. It must’ve been quite a moment if it overshadowed some of the hilarity that had to have taken place on Taika Waititi’s set on Thor: Ragnarok, although it’s completely understandable. Who can deny that one of the times it’s hardest not to laugh is when you’re in a situation where you explicitly shouldn’t? Even if he pissed off Joss Whedon with his castmates a time or two in the past, Chris Hemsworth says he has no regrets about his ride thus far. The actor told MTV he wouldn’t change a thing about his time in the MCU even if he could, and mentioned he feared if he did it would alter the course that it’s presently on. Not to be a conspiracy theorist, but Chris Hemsworth talking about time travel and implications of changing the future of the MCU could point to him spending too much time on the Avengers: Endgame set. After all, time travel has been speculated and teased to play a decent role in the plot, and it was a weird way to answer a question when time travel doesn’t ultimately exist. Conspiracy theories aside, it sounds like Chris Hemsworth has a lot of laughs and love for his time spent in the MCU. Whether that will be enough to keep him in the world following Avengers: Endgame is another question, as we’re still not sure what Thor’s fate will be in the movie. Hemsworth is also not officially on board for any future Thor films, although has hinted he’d be up for returning. We’ll see if Thor has an opportunity to have more adventures following Avengers: Endgame, which is in theaters Friday, April 26. Keep with CinemaBlend in the meantime for more updates in the MCU and an idea of what’s to come after.